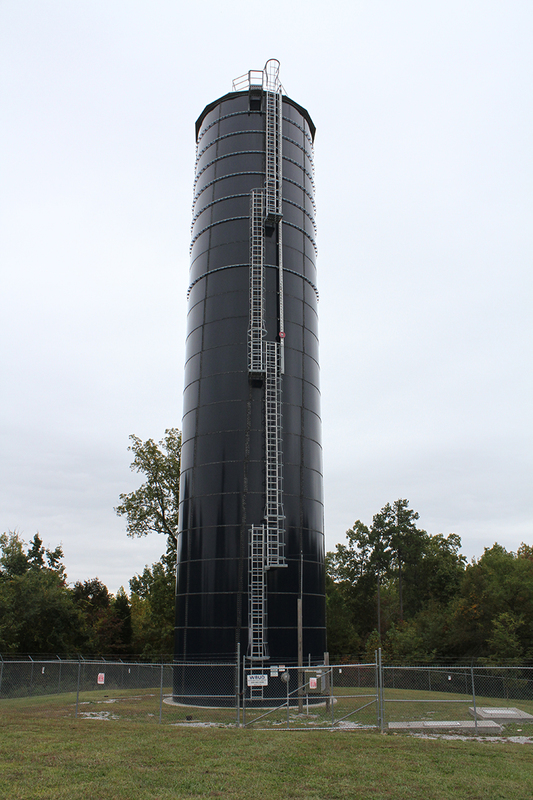 Provided by CST Industries, Inc.
Watts Bar is like most rural utility districts. 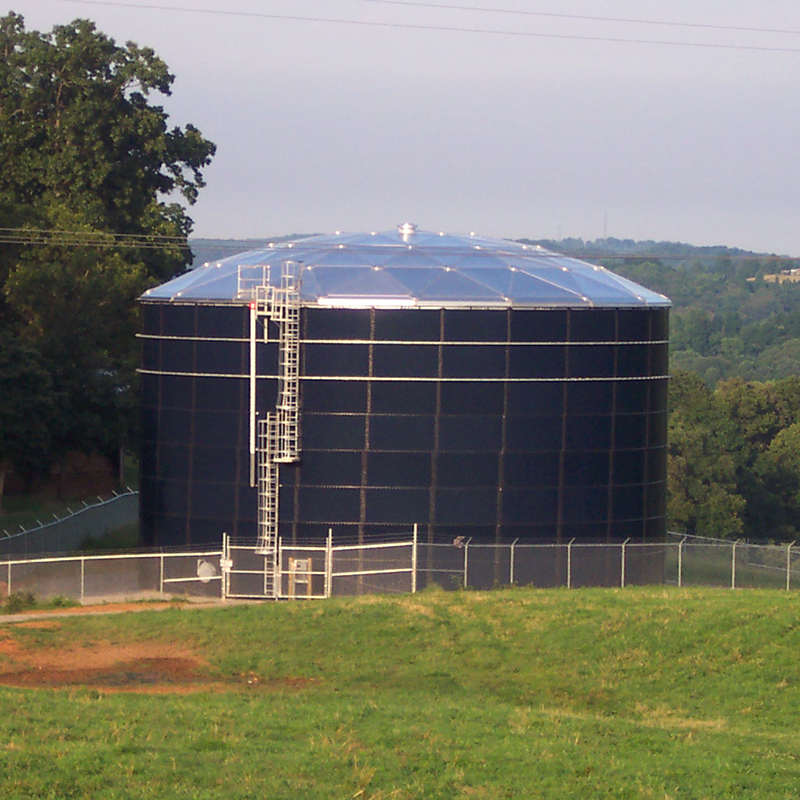 It serves 6,100 customers in parts of five counties in southeastern Tennessee, between Knoxville and Chattanooga. But one thing makes Watts Bar different from most utilities: its largest customer is a nuclear reactor. The Watts Bar Nuclear Plant, part of the Tennessee Valley Authority (TVA), sits on 1,700 acres and produces 1,150 megawatts of electricity—enough to power 650,000 homes. When the second reactor opens this year it will double that output. The plant also uses a lot of water. So much water that Watts Bar utility maintains an unusually large storage capacity. 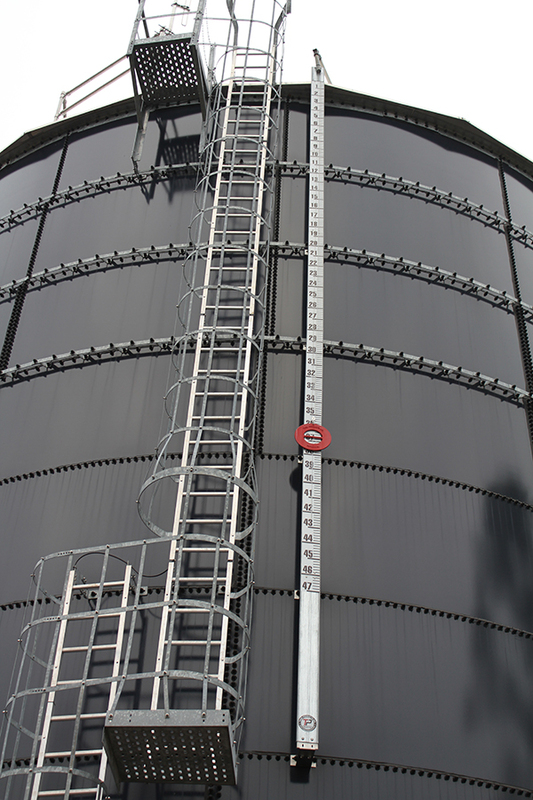 Containing all that water is a big job, but Aquastore® tank from CST is up to the task. 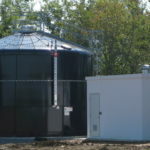 In fact, the utility has 17 Aquastores with a total capacity of more than 5 million gallons. While the nuclear plant draws water directly from the Tennessee River for cooling, it relies on Watts Bar utility for every drop of water used on a daily basis by its 1,000+ employees. When a nuclear reactor is relying on you for its water, you can’t afford service interruptions, mechanical issues or contamination. 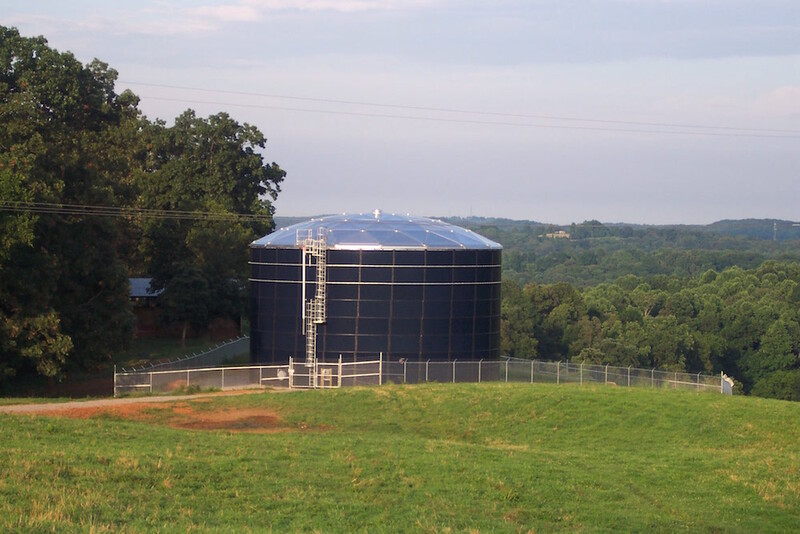 That’s why Watts Bar Utility District has relied on Aquastore tanks since the first tank was installed in 1988. 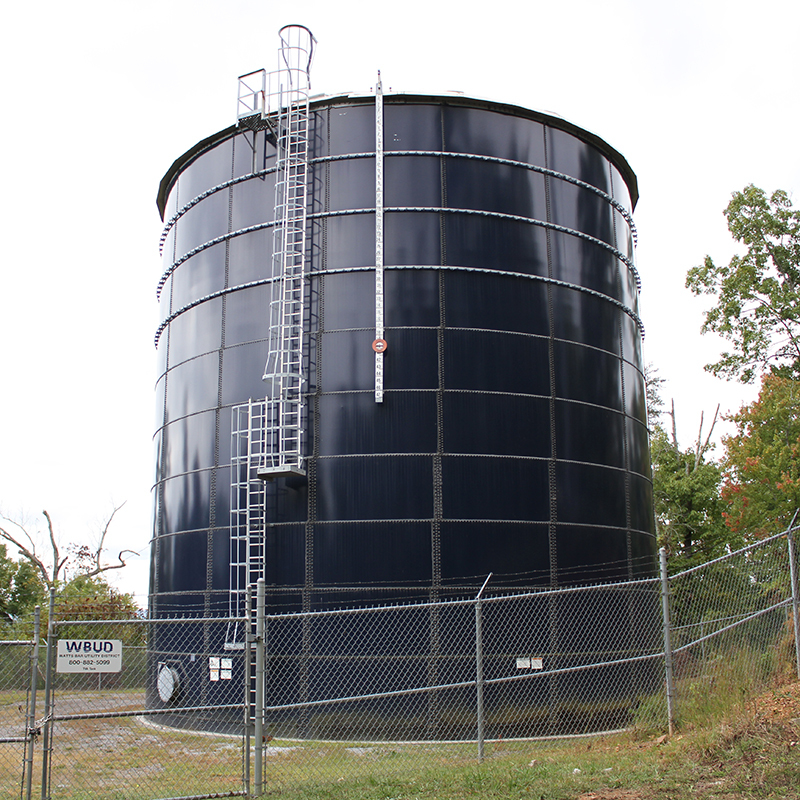 Aquastore’s glass-fused-to steel technology is the water and liquid storage leader—outperforming concrete, steel bolted and elevated tanks. More than 100,000 have been installed in over 70 countries around the world. It’s resistant to extreme weather and leakage and retains its brilliant luster for decades, which means it doesn’t have to be repainted. Barger credits Southeastern Tank, the area’s exclusive Aquastore distributor, for making his life easier. He says he’s continually impressed by the service and attention he receives. Barger also appreciates the functional, elegant design of the Aquastore. Each panel is forged in CST’s DeKalb, IL manufacturing facility. A panel of high strength low carbon steel is blasted and alkaline cleaned. The panel’s edges are beveled and its surface sprayed with a stainless steel alloy. Next, the panel is sprayed with a specially formulated slurry that gives it durability, consistency and impermeability. Unlike powder coatings or paint, the slurry is inorganic so it blocks corrosion. The panel is then fired at temperatures above 1,500° F to fuse the porcelain coating and the steel. Tests are conducted to verify integrity and durability, including high voltage testing to detect discontinuities. Barger and his father, general manager Mickey Barger, have witnessed the Aquastore’s efficient construction many times over. 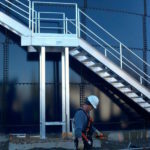 The Aquastore is built using hydraulic jacking, which allows for top-down construction that’s safer and faster and takes up less space than traditional steel tank erection. 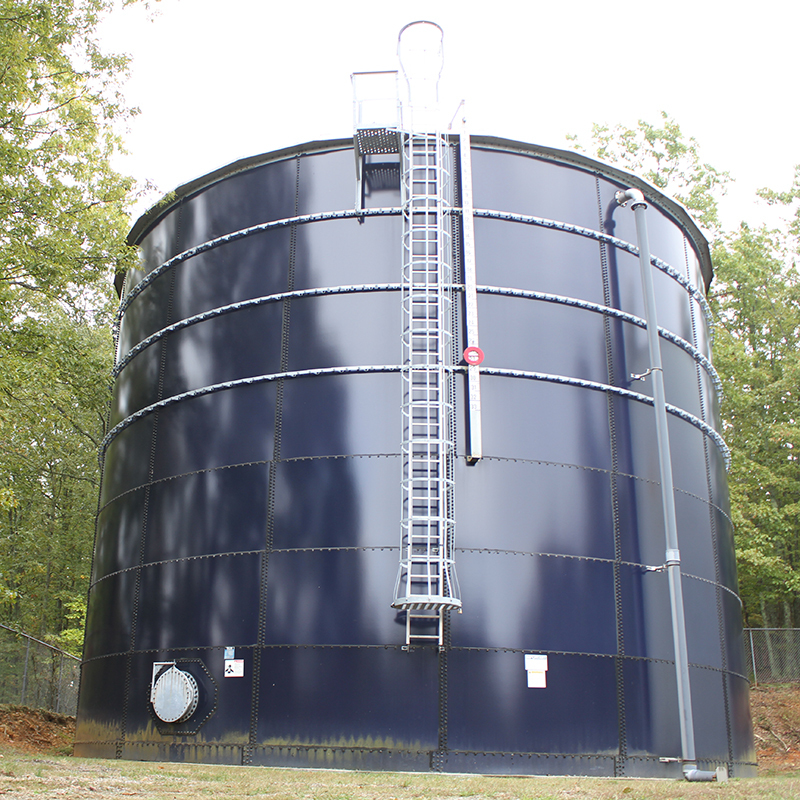 “Most of our customers own two or three tanks so Watts Bar is truly unique,” says Dustin Dowdy, Director of Sales at Southeastern Tank in Nashville. 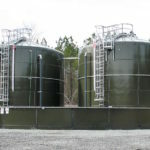 “With 14 tanks, their lifecycle cost savings can add up quickly, which satisfies their board and customers. Dowdy and his staff prepared a lifecycle cost analysis on Watts Bar’s tanks by gauging how much money has been saved on maintenance. 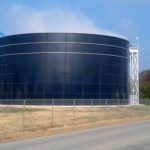 Whether it’s a second nuclear reactor coming online or new home construction, Watts Bar Utility District keeps the taps flowing in southeastern Tennessee and it starts with state-of-the-art storage technology from CST and Aquastore. 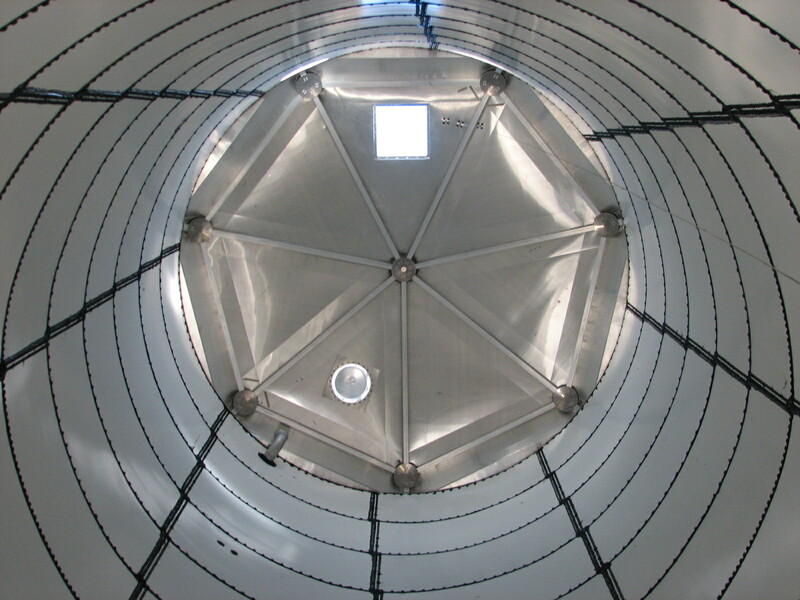 OptiDome® geodesic aluminium domes are the preferred cover solution for any storage application. 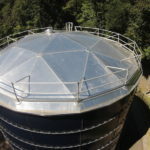 Aluminum dome structures are superior to other cover designs of alternate materials due to: corrosion resistance, low lifetime maintenance cost, clear-span capability, fast and low cost construction and design flexibility.